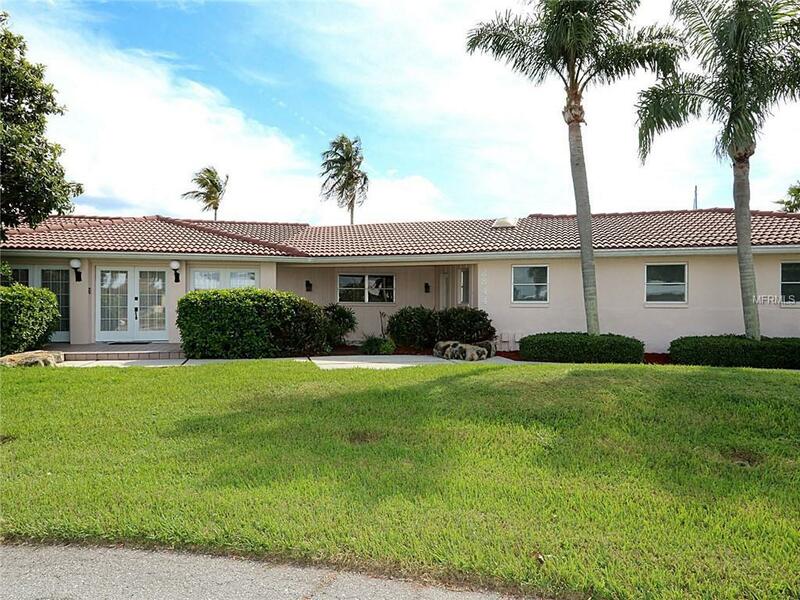 Unique, 4 bed/4 bath, waterfront home in Punta Gorda Isles built on two lots w/a full in-law suite, 218ft of seawall & very quick sailboat access to Charlotte Harbor. The main residence offers 3 beds/3 baths w/a formal living room and dining room plus a separate family room. The large kitchen features solid surface counters, an abundance of cabinet & counter space w/a center island, built-in oven & pass-through window to the lanai. The split bedroom floor plan boasts large bedrooms including a spacious, master retreat. The master offers views of the pool & canal w/a large dressing area & oversized, walk-in closet plus a private bath. A hall bath doubles as a pool bath w/access to the lanai. A full in-law suite w/private bath & kitchenette completes the living space. The in-law area is perfect for guests or when used as a studio/home office - it features lots of natural light, canal views & a private, screened patio. The expansive lanai features an in-ground, heated pool w/separate hot tub & ample room for outdoor entertaining. An extended concrete dock is just steps from the back door. Water & electric hook-ups are available dockside. Keep your boat docked in your backyard! Set sail on your latest adventure and reach open water in mere minutes. Other amenities include attached 2-car garage, 4 A/C systems, water softener, R/O in kitchen & meticulously-maintained tropical landscaping. The size & location of this property are an unbeatable combination. Must see to appreciate - make appointment today.